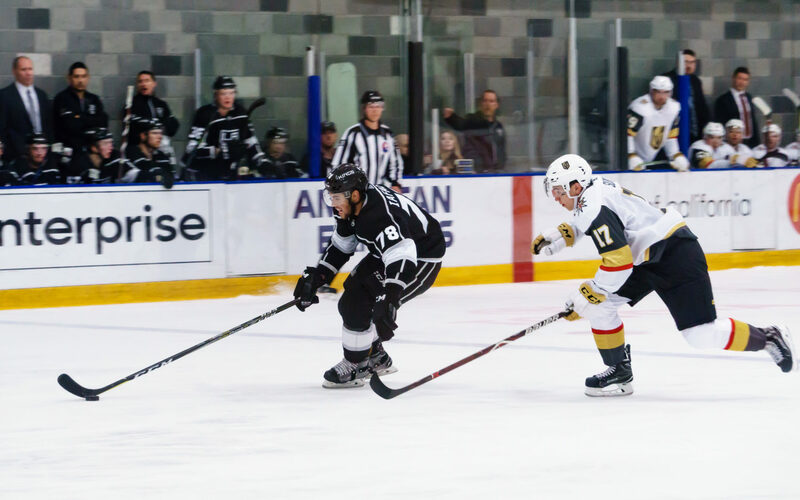 The Kings are one of six teams to take part in the round robin tournament, which will be held from Saturday, September 8 to Tuesday, September 11 at the Vegas Golden Knights’ practice facility, City National Arena. Los Angeles will face Anaheim at 5:00 p.m. on September 8, Arizona at 3:00 p.m. on September 9 and Vegas at 2:30 p.m. on September 11. San Jose and Colorado are also participating. The tournament, dubbed the 2018 Vegas Rookie Faceoff, is expected to rotate in coming years. Irvine’s Great Park Ice and Fivepoint Arena, a massive rink complex featuring a 2,500-seat arena that is expected to open in late 2018, will host next year’s tournament. Last year, San Jose hosted Anaheim, Arizona and Colorado for a similarly formatted four-day event. 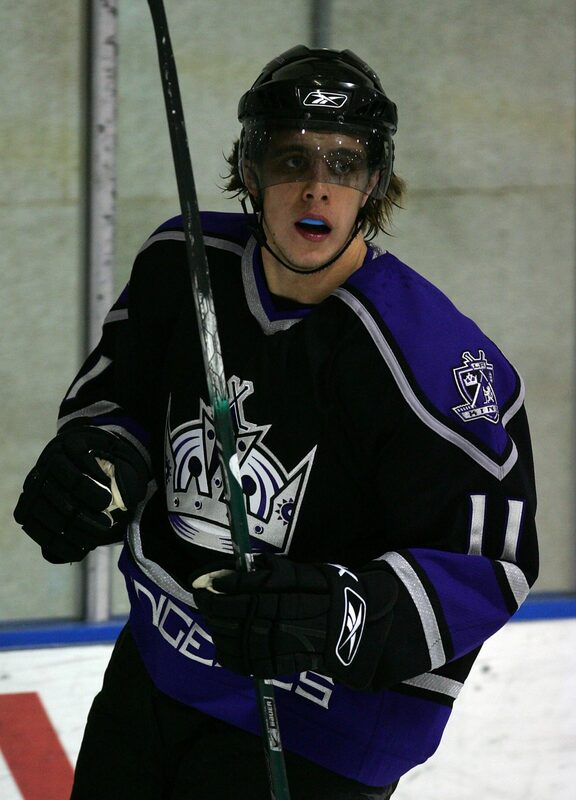 Before the more recent rookie game series – L.A. rookies faced Arizona in 2011, 2014, 2015 and 2016, Anaheim in 2013 and Vegas in 2017 – players like Anze Kopitar, Trevor Lewis, Jonathan Bernier and Yutaka Fukufuji participated in the Pacific Division Shootout between 2003 and 2006. 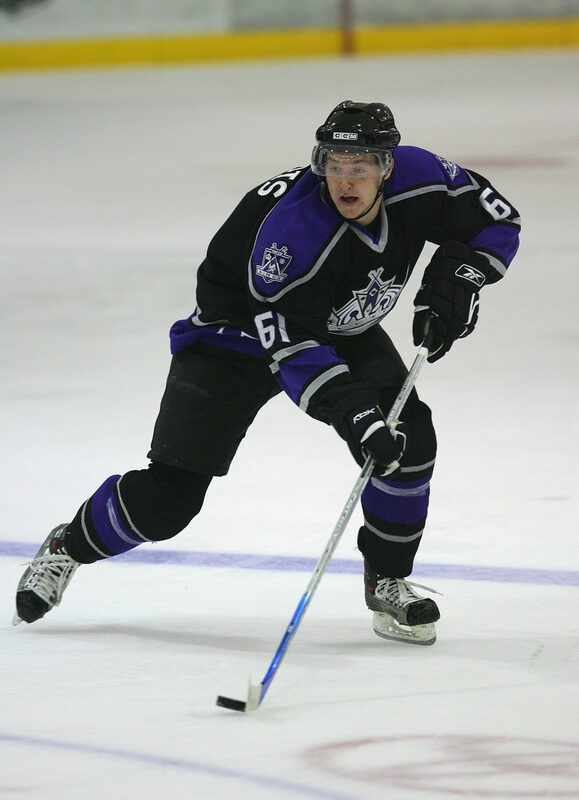 The Kings also faced the Ducks in a rookie game in 2002 that was played without fighting, “otherwise these kids are going to pound on each other,” according to then-Los Angeles coach Andy Murray. 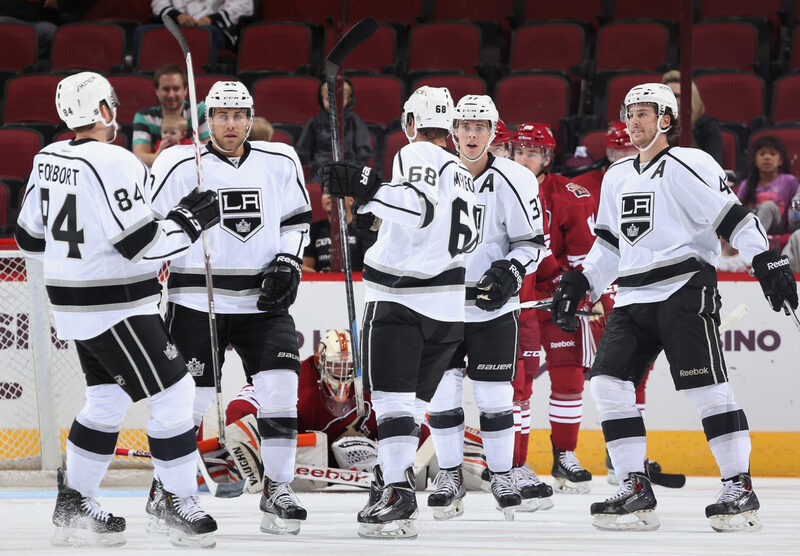 (Several Kings-Coyotes games did get awfully testy.) 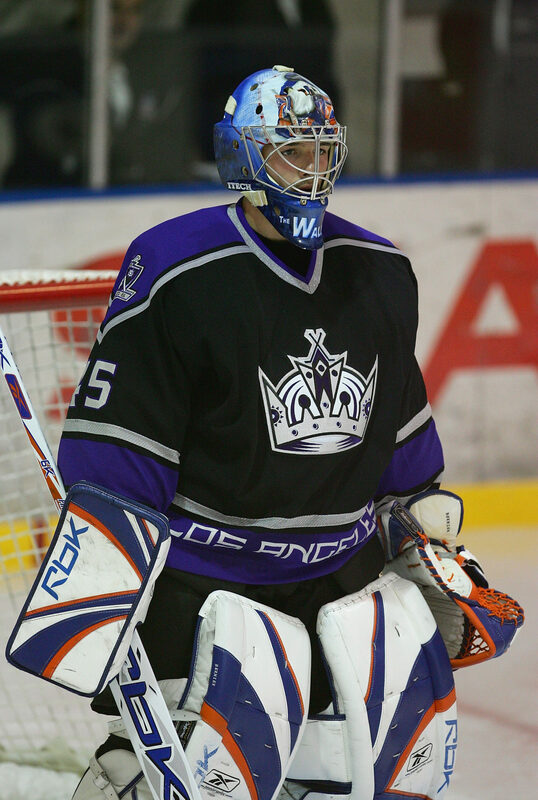 Via the LA Times, among those who participated in the 2002 game were Michael Cammalleri, Yanick Lehoux, Jared Aulin and Kip Brennan of the Kings and Stanislav Chistov, Alexei Smirnov, Ilya Bryzgalov and Cam Severson of the Ducks. Under Dean Lombardi, the team did not extend its participation in rookie tournaments because of the value placed in developing players through the team’s own practices and development days. Then, the team preferred the prospects focus more on their own work and development, lest they get starry-eyed by the major, prospect-laden, fan-attended tournaments. But there will always be value placed in applying instruction to game situations, and whether in Penticton, Traverse City or London, Ontario, these prospect tournaments have allowed for efficient player evaluation. Rookie camp participants will suit up for the Kings at the Vegas tournament, but actual lineups won’t be revealed until game days. At development camp last month, the Kings got a good push from a line that included Mikey Eyssimont, Gabriel Vilardi and Jaret Anderson-Dolan. And, of course, if we’re starting to speculate about rookie game line combinations on July 27, well, that’s probably an indication that this story is running a bit long. Ticketing and broadcasting information will be announced at a later date.